The Prince Charles Hospital Foundation has a number of events you can get involved with during the annual calendar. 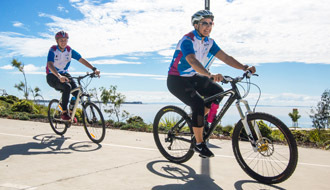 Take up the challenge to ride 100km in support of organ transplant research, set a challenge for a healthier you during Health Hour or simply nominate The Prince Charles Hospital Foundation as your beneficiary charity at events like Bridge to Brisbane or City to Surf. The Cycle of Giving is The Prince Charles Hospital Foundation’s annual ride raising more than $200,000 for organ transplant research. Starting and finishing at James Drysdale Recreation Reserve in Bunya, grab a Merlo coffee and ride alongside some of the most inspiring people you’ll ever meet, our heart and lung transplant recipients. Bridge to Brisbane is on Sunday August 27, the day is not only about celebrating all the best things that Brisbane has to offer but it is also a day to give back to the Queensland community. Register to run, select ‘The Prince Charles Hospital Foundation’ as your charity of choice and get your friends and family on board to help you fundraise. City to Surf is an annual fun run held in August in Sydney each year, with the event starting at Darling harbour and finishing at Bondi. 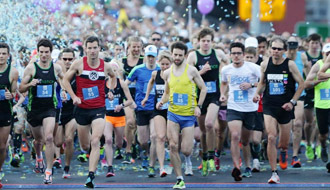 The event raises millions each year for deserving charities through runners nominating their favourite causes and getting friends and family to donate. 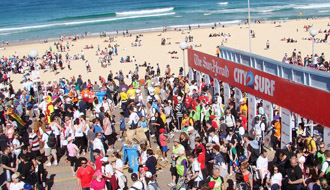 If you intend on running in the City to Surf or any other event where you can fundraise for your favourite charity, consider selecting ‘The Prince Charles Hospital Foundation’ as your charity of choice.